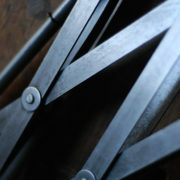 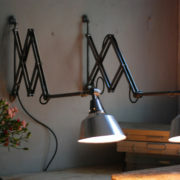 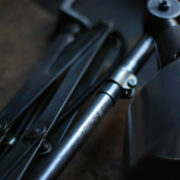 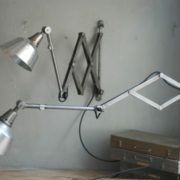 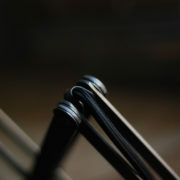 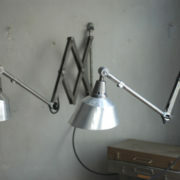 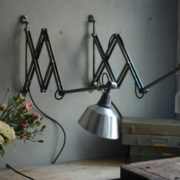 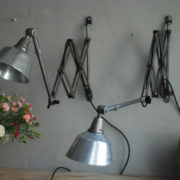 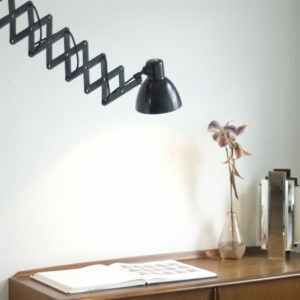 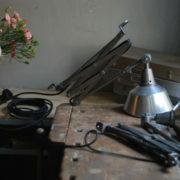 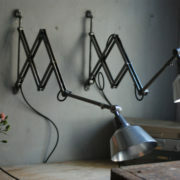 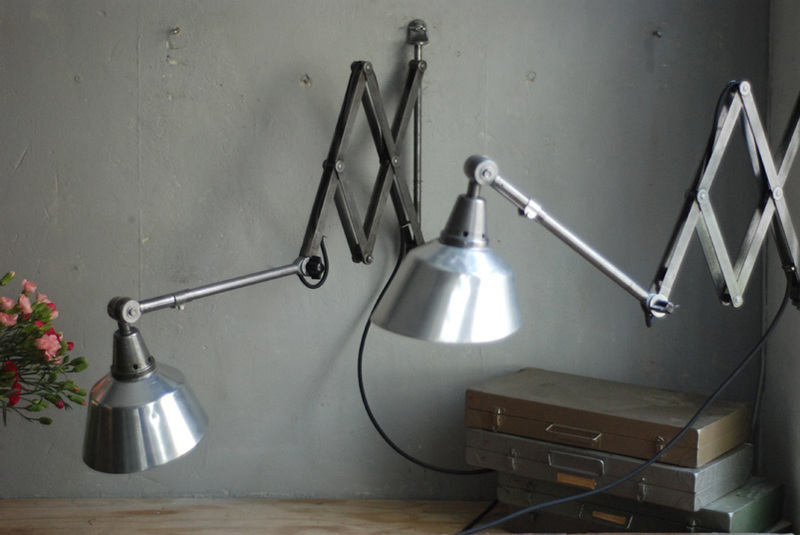 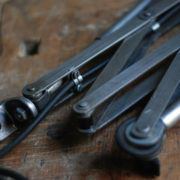 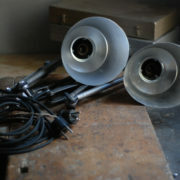 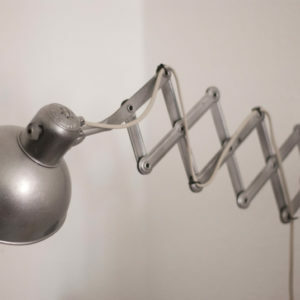 Pair of Midgard upcycled scissor lamps in steel look with shades made of aluminium. 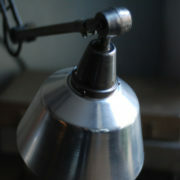 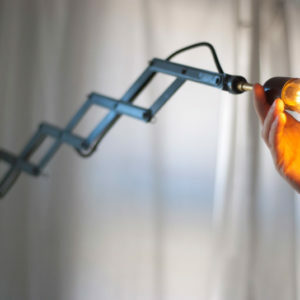 of all elements, the lamps were polished brushed varnished and rebuilt again. 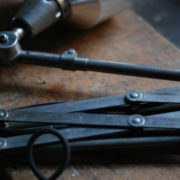 All the small parts were cleaned, polished, oiled. 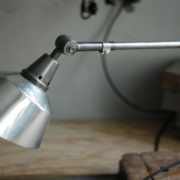 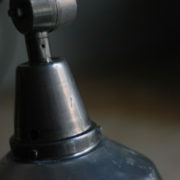 The lamps have signs of wear consistent with the age and use. 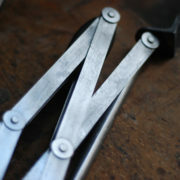 They have been polished to give them a steel look. 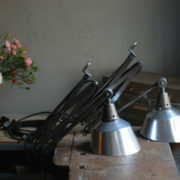 The lamps are in very good overall condition. 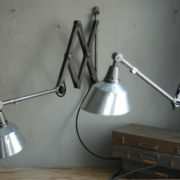 The Midgard shades made of aluminium have scratches, lights dents and marks of use. 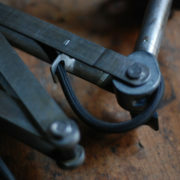 The electrical equipment was renewed and refurbished with a three-wire system and a blackcloth coated cord was used. 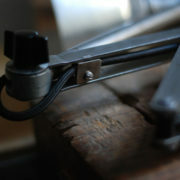 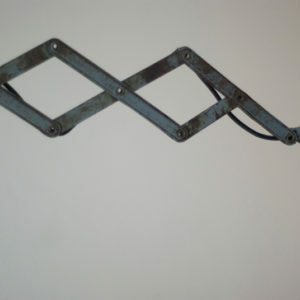 A switch can be mounted if needed on the cord according to prior agreement.